ANIMALS MAY HAVE existed on earth for hundreds of millions of years before they first appear in the fossil record, according to new research from NUI Galway. In the mid 19th century, naturalist Charles Darwin (1809-1882) puzzled over an “apparently sudden appearance” of different types of complex animals around half a billion years ago, says Dr Breandán MacGabhann who conducted the research for his PhD degree. Known as ‘Darwin’s dilemma’, this observation – based on fossil record evidence – did not fit with Darwin’s proposal that animals slowly and gradually evolved from much simpler ancestors over a very long period of time. 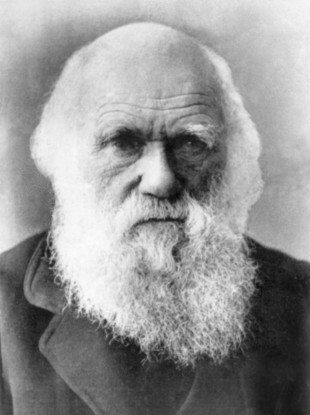 Darwin decided that the earliest record of animal life on Earth was, therefore, not represented in the fossil record. NUI’s MacGabhann explains that, for most of the fossil record shells and skeletons are evident but there is little evidence for jellyfish and worms, for instance, creatures that make up much of early marine animal life. The oldest animal fossils – impressions left behind by soft-bodied creatures on the seafloor – are from far before animals first developed the ability to make shells. “We have never known how well these fossils represent…early animal communities,” MacGabhann says. But when the team shipped over thousands of fossils of the disc-shaped creature called ‘eldonids’ – collected from the edge of the Sahara Desert in Morocco – they had their “eureka moment”, says MacGabhann. Examining the anatomy and preservation of ‘eldonids’ fossils at NUI Galway and in labs in the USA, the research team realised that the earliest and most primitive animals to appear on Earth would not have had body tissues capable of becoming fossilised. Therefore, these don’t represent the oldest animals, thus confirming ‘Darwin’s dilemma’. This research provides that extra time Darwin needed to account for the early stages of the evolution, solving “a seemingly intractable problem”, Murray has said. The research involved using concepts and techniques from soil science, microbiology, and environmental science. Email “A team at NUI Galway reckon they've cracked 'Darwin's Dilemma' ”. Feedback on “A team at NUI Galway reckon they've cracked 'Darwin's Dilemma' ”.